Ithaca, N.Y. is the Smartest City in the United States, according to a study conducted by Lumosity.com earlier this year. The neuroscientist-designed website offers a series of brain-training exercises. It collected online test results from more than 3 million users, defining ‘smartest’ within five areas of cognitive performance: speed, memory, attention, flexibility and problem-solving. Daniel Sternberg, the Lumosity Data Scientist who initiated the study, said that the presence of higher education institutions such as Cornell University and Ithaca College is one factor that contributed to the impressive results. 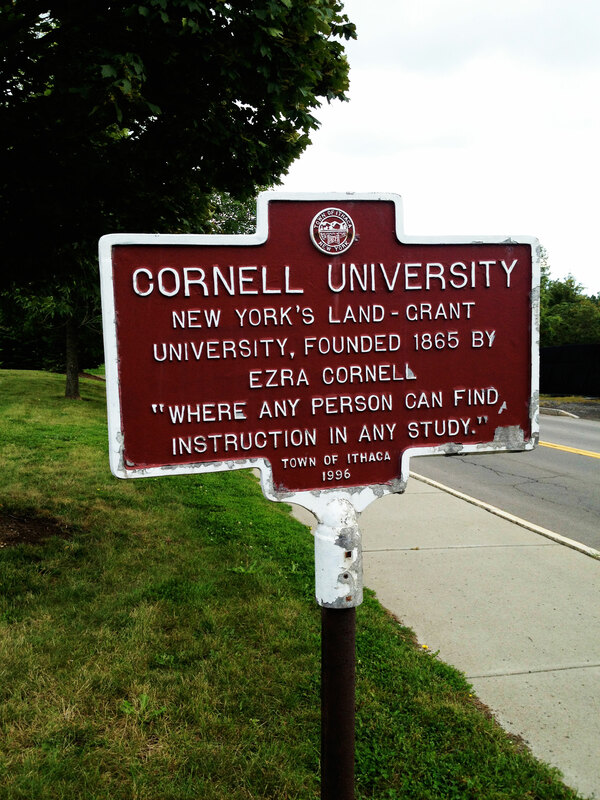 Cornell University, on Ithaca’s East Hill, hosts about 21,000 students in pursuit of undergraduate and graduate degrees. Stanford, Calif. — home to Stanford University — has also been declared ‘Smartest City’ under the same study. It was ranked No. 1 for the list ranking City and State. Ithaca, however, came in first for Overall Score Ranking for Core-Based Statistical Areas, taking the No. 1 spot in three out of five performance areas. Memory and Attention ranked it No. 5 and No. 16, respectively. Lumosity used recorded IP addresses to estimate participants’ geolocations. Sternberg said at least 1,800 users were located in the Ithaca metropolitan area. He noted this could only be an estimate, and may include tourists and temporary visitors. Janina Gunderson is a Tompkins Cortland Community College freshman. An Ithaca resident all her life, she has observed that a large portion of her peers have grown up here because of their parents’ presence in higher education throughout the city. “People who teach at such institutions will obviously stress the importance of higher education and succeeding in school, wanting their children to find the same kind of success,” said Gunderson. And while some choose to leave Ithaca after graduating high school, the city’s population swells to nearly double its summer size when outside students arrive for the academic year. “Though the populations of these areas are constantly changing, they generally share consistent demographics. Some proportion of the users in these cities were almost certainly students, but we considered them to be part of the local community,” said Sternberg. The study did not officially define what constitutes a resident; a portion of the participants may be students who are only in Ithaca to earn their degree. “Though the order of the cities does change some in the rankings for the older age groups, the ‘college town’ effect persists,” added Sternberg. In addition, younger residents are gaining exposure to higher education as early as their primary education. Carolyn Belle-Abbott, a teacher at South Hill Elementary School, claims this has enriched the curriculum of the Ithaca City School District. “Both colleges have community outreach programs that bring professors, students and resources into our classrooms. I have taken students on field trips to both campuses,” said Belle-Abbott. The Omni program at Cornell’s Johnson Art Museum allows her students to see and handle Pre-Columbian artifacts. Ithaca College also invites students into its science laboratories for hands-on activities. “These are things I just couldn’t provide in my classroom,” said Belle-Abbott. Once students are closer to the end of their primary education, more programs are available to prepare them for college. “I think they also did a great job teaching us how to think critically and question the sources we read and their motivations,” added David Kaminsky, a 2010 IHS graduate. 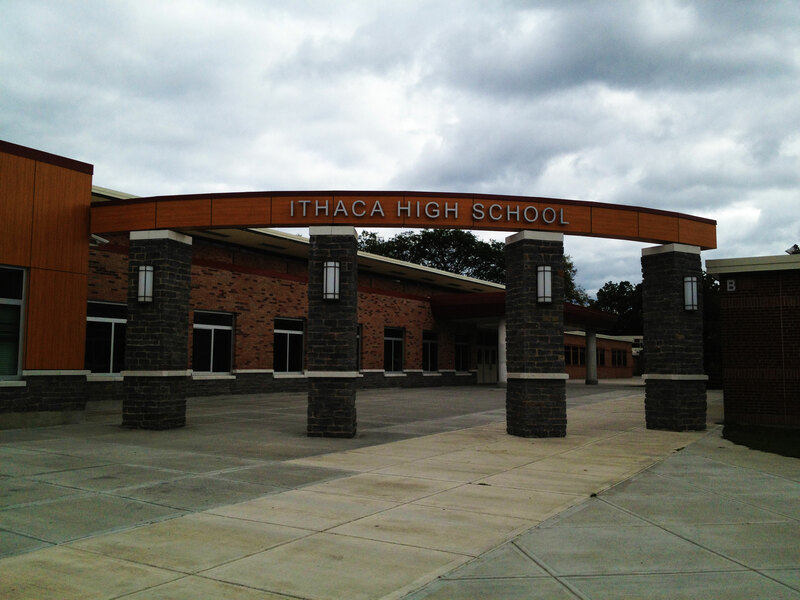 Ithaca High School and other ICSD schools partner with neighboring institutions Ithaca College and Cornell University to give students a glimpse of what could be in store after graduation. Though the programs are available to students, none are mandatory. According to data published this summer, about half the city’s residents over age 25 have at least a bachelor’s degree. “We found that the proportion of residents with bachelor’s degrees and doctorate degrees, as well as the proportion of residents seeking those degrees were strongly correlated with the area’s performance on our metric,” said Sternberg. With two ‘smartest cities’ studies now under his belt, Sternberg indicated that cities like Ithaca will continue to top the list in the future. Referring to the Lumosity study: “It’s just another link to share on Facebook,” said Barken.